Deluxe Poker Game Set. 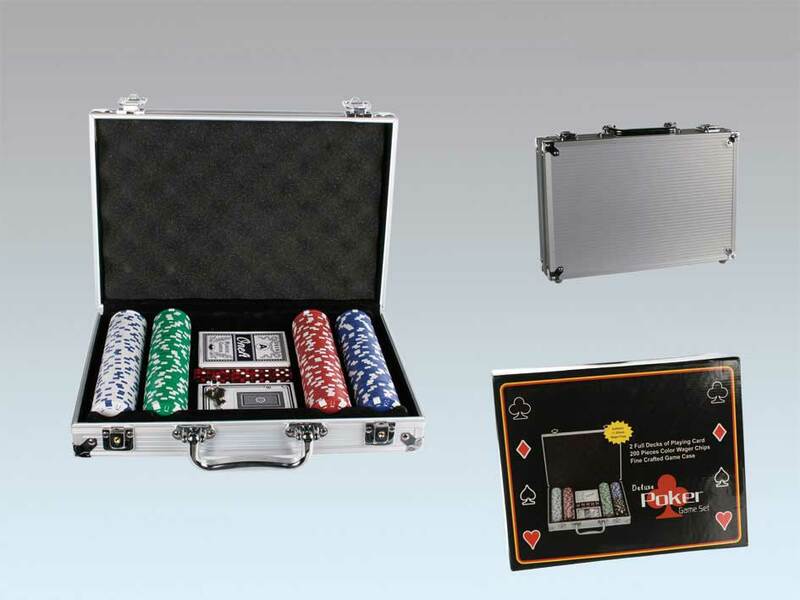 Set consists of poker chips, cards and dice, all with a nice aluminum case to store everything. Briefcase boasts 200 poker chips, 2 decks of cards and 5 dice. Deluxe poker game set measures: 20 x 30 cm.